I'm still going through a bunch of post-blizzard photos from last week's snow storm. 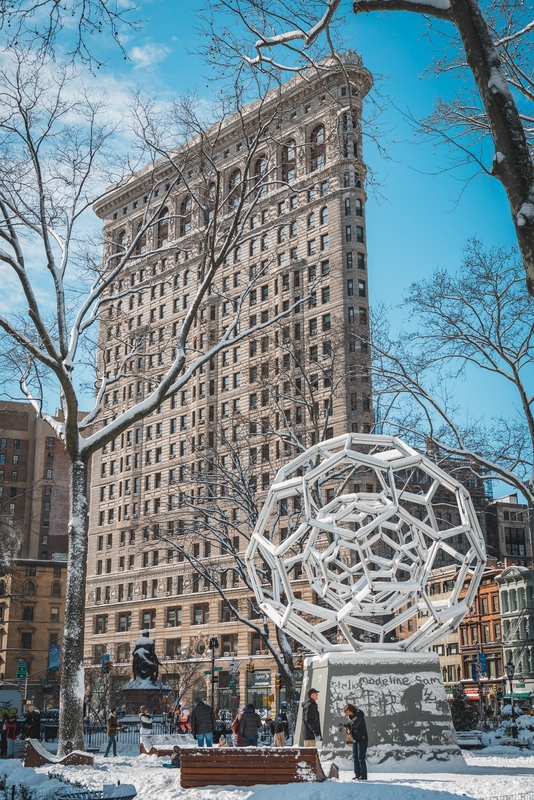 On that post, Bryan Jones commented that he could never tire of photographing the Flatiron Building, and apparently I agree as I have dozens of photos of that landmark in this set alone. Aside from the Empire State Building, its easily the most notable landmark in my neighborhood, and highly photogenic as well. This photo was taken right as the skies cleared but before all the snow started melting. The LED Bucky Ball art installation can be seen in the foreground, although its much more interesting at night.